After 10 days of contemplative, "noble silence" at a Washington state retreat, Plainfield musician Django Koenig is ready to sing. Koenig, a songwriter and guitar player - who has also sat behind the drum kits of a handful of bands with Vermont roots (The Tall Grass Get-Down and Ty-Alex) - is set to embark on his Vermont, Whatcha Want? Tour. He released an album under the project name Django Soulo in May of 2017, where he pours his positive spirit into his songs. On the Django Soulo website, Koenig summed up the mission behind the music with this: Django once did a lot of drugs, smoked a ton of cigarettes, and drank whiskey like a man that loves whiskey a whole bunch. Now he doesn't even drink coffee. Django Soulo is the product of caring for yourself and others. He has enjoyed sobriety since January, 2015. Koenig, who plans to head into the studio this winter to record another album, sat down with VPR fresh off the airplane ride back from the West Coast and talked about the 10-day insight meditation or Vipassana and his upcoming tour. 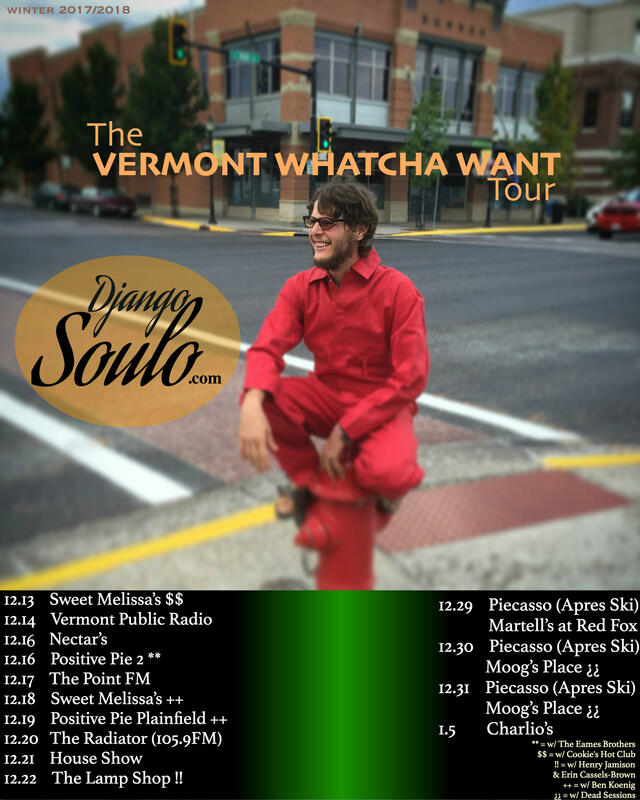 Follow Koenig's 'Vermont, Whatcha Want' tour, beginning this Saturday at Nectar's in Burlington and at Positive Pie in Montpelier with The Eames Brothers. If all the reports are true, the death knell tolls for net neutrality on Thursday. That's when the FCC votes on repealing those regulations.